Here at The Miami Injury Lawyers, personal injury cases are what we do. In fact, it’s all we do. Personal injury lawsuits are oftentimes a David vs. Goliath situation: someone gets hurt, and in order to get what they deserve, they need to defeat the legal team of massive insurance companies or other business entities. When you hire The Miami Injury Lawyers, you are not just hiring one attorney: you are hiring an experienced team of legal professionals that has worked in every avenue of personal injury law since our formation. In addition, our large pool of resources means that we can hire the perfect expert witness, cover your medical bills, and foot any other bills associated with your trial at no up front cost to you. You just need to focus on getting better, we will focus on winning you your case. The basis of personal injury disputes stem from one person suffering harm due to the negligence of someone else. Once an injury or accident occurs, personal injury cases can be settled in court, in an informal settlement, or in a legal “middle-ground” like mediation or arbitration. Those who suffer injuries have a limited amount of time to file a lawsuit – this is called the “Statute of Limitations.” The Statute of Limitations is different in every state, and from practice area to practice area. Florida’s statute of limitations is quite long, as you have four years from the date of an accident to file a lawsuit in Florida Civil Courts. In many states, the Statute of Limitations is as short as one year. Unlike many other areas of law, where written laws are adhered to in order to determine the outcome of a case, personal injury law has grown mostly through previous court decisions. This means that if something happens to you, there is no law saying exactly how much you are entitled to – it is up to your attorney to not only get the judge to rule on your side, but to put together an argument that sees you get as much money as possible. If you were injured due to the negligence of others within your state’s statute of limitations, it is well worth your time to schedule a personal injury consultation. While there are many things that can get in the way of you receiving compensation (lack of evidence, a defendant with no assets, etc), it is important to get legal advice before deciding that your case isn’t worth the effort. While it is different for every case, there is a relative framework that most personal injury cases follow. Accident/Injury: You or a loved one is in an accident and gets injured. If you have time/someone who can do so, take as many photos and videos as possible of the aftermath before the paramedics arrive. Any bit of evidence helps. This might sound obvious, but it is the first step in every personal injury case. Receiving medical attention: After your injury, your primary focus should be on receiving medical attention. If your injuries are severe, it is important to realize that your well-being is more important than making sure you have photos of the scene – always focus on your health before anything else. Calling an attorney: Once you have received proper medical attention, you must consult an attorney within the statute of limitations, unless you plan on filing a lawsuit yourself (we do not recommend this, even if you do have a legal background). Claim & Medical Record Investigation: Your attorney will “put you on trial” and see how your case holds up. If your case has serious flaws, many attorneys will not take your case. If all of the evidence and your recounting of the events follow each other, you will be on the right path to financial compensation for your injuries. File an Insurance Claim/ Demand a Settlement: This part of the process differs with all types of personal injury cases, but it basically boils down to this: Once your attorney takes you on, it is not a given that you will go to court and take your case to trial. It is possible that you get compensation you are happy with in negotiations with the defendant’s insurance company, or from the person you injured themselves. Until you file a claim or demand a settlement, none of those options will be open to you. Filing a Lawsuit: If you are not able to reach an agreement with the insurance company, you will go to court. While this is not often a desirable course of action as it drags out your case and opens the door to earning significantly less compensation than you could by taking an offer, it is often the best way to get a maximum settlement. Discovery Proceedings: This is when your lawyer investigates what your opponent’s legal claims and defenses are (and vice versa). In addition, this is when the court will ask from depositions from any party involved or expert witnesses that can help paint a clearer picture of the accident/injury. Mediation: Once all of the discovery proceedings are finished, both sides get a chance to try to reach a settlement based on what has been discovered thus far. This is when many personal injury lawsuits reach a settlement: it becomes clear that one side is in the lead, and a deal is easier to reach to prevent further court time. Trial: If you can’t reach a settlement after mediation, your case will go to trial. All of the information gathered will be presented to a jury, which puts you in the hands of not just your lawyers and your opponent’s lawyers, but a bunch of non-legal professionals. This is often not very desirable for either side. 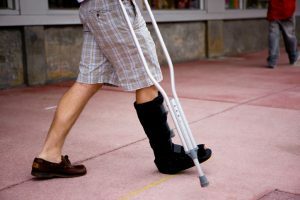 If you have been injured due to the negligence of others, and you believe you have a case, please contact a personal injury attorney at The Miami Injury Lawyers today. We have represented clients throughout Florida, and will spare no expense in trying to get your life back on track after your injury.